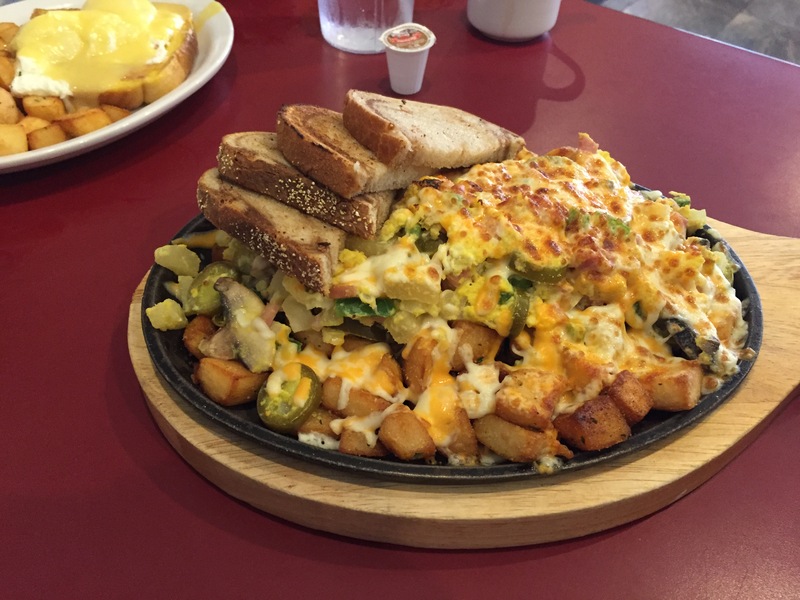 why is it so hard to find a place that serves good, hearty breakfasts where we’re from? 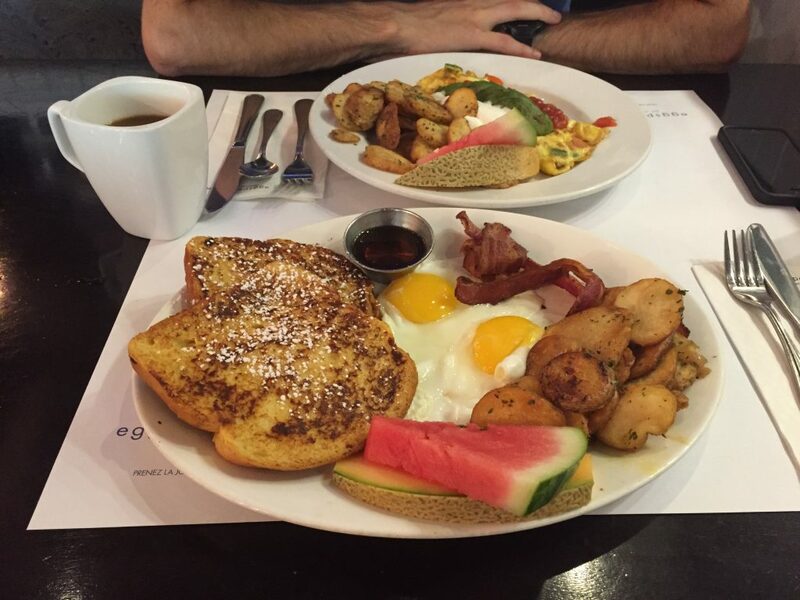 i *love* the fact that you could get up at any time in north america and a meal with eggs and carbs is just around the corner. 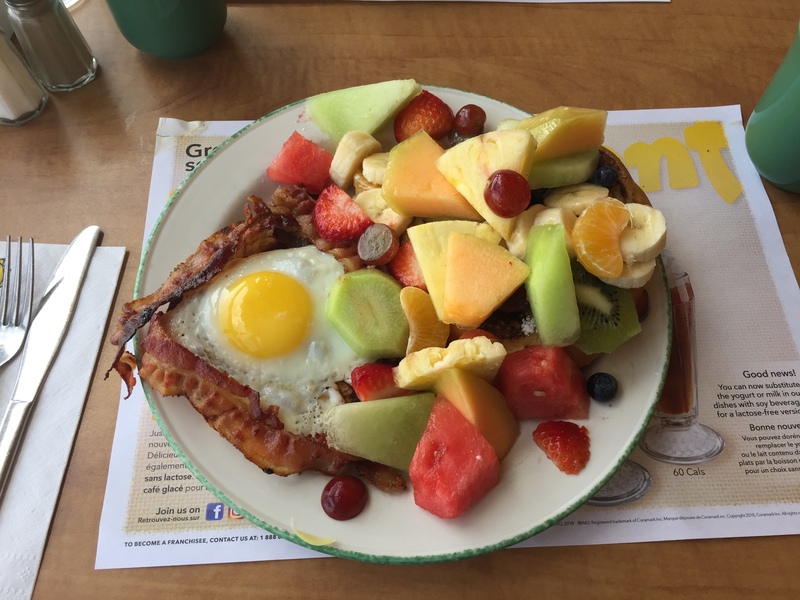 the formula seems simple enough: bottomless mugs of coffee, plus some form of carbs (pancakes, waffles, toast, potatoes, fruit), bacon, and most importantly, eggs — lots of eggs, in all their configurations! in short, brilliancy on a plate. 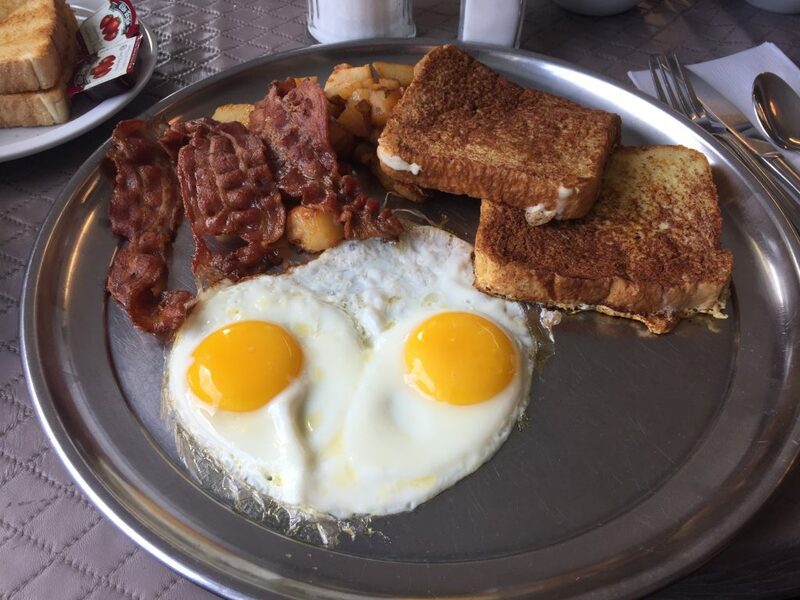 although i love our toasts and pastries, i think we could use more of this in europe. 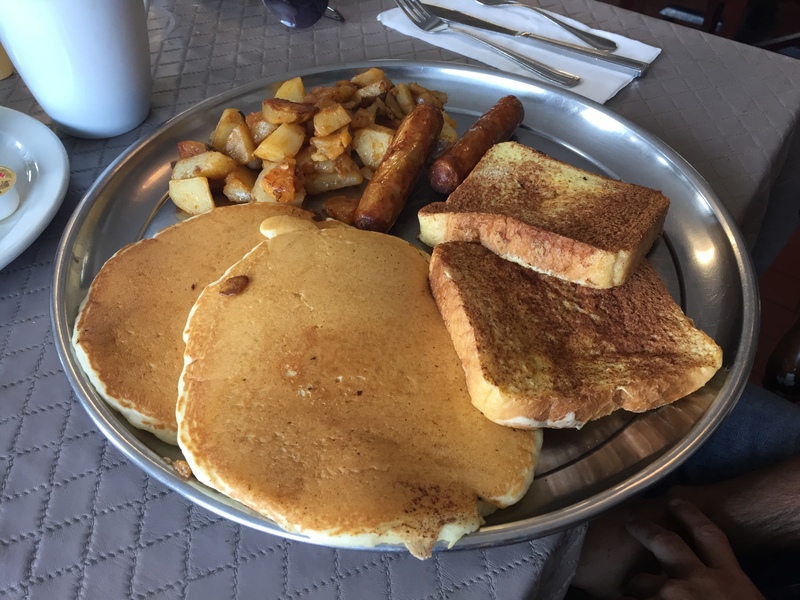 if i did not already have enough stuff on my plate for a few lifetimes, i would open a place like that (complete with a flock of chicken in the background to supply the essential ingredient). 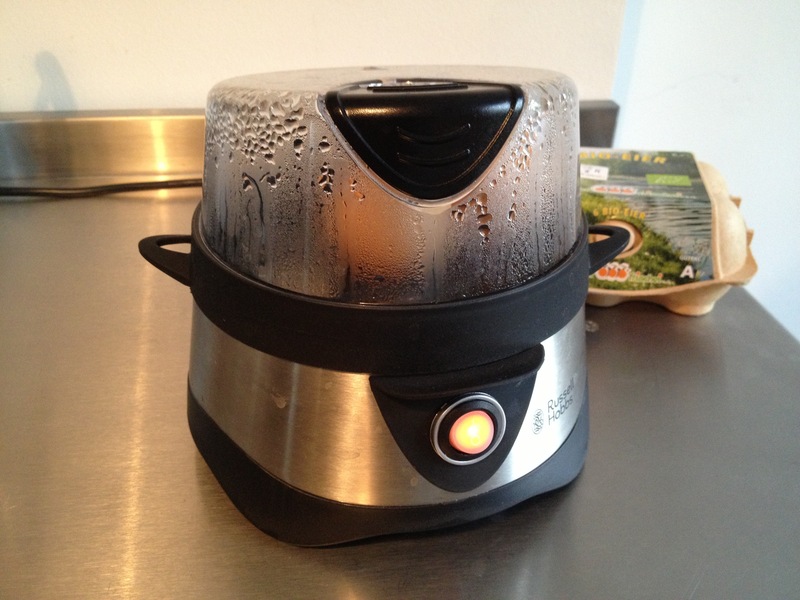 …meet our awesome egg cooker! 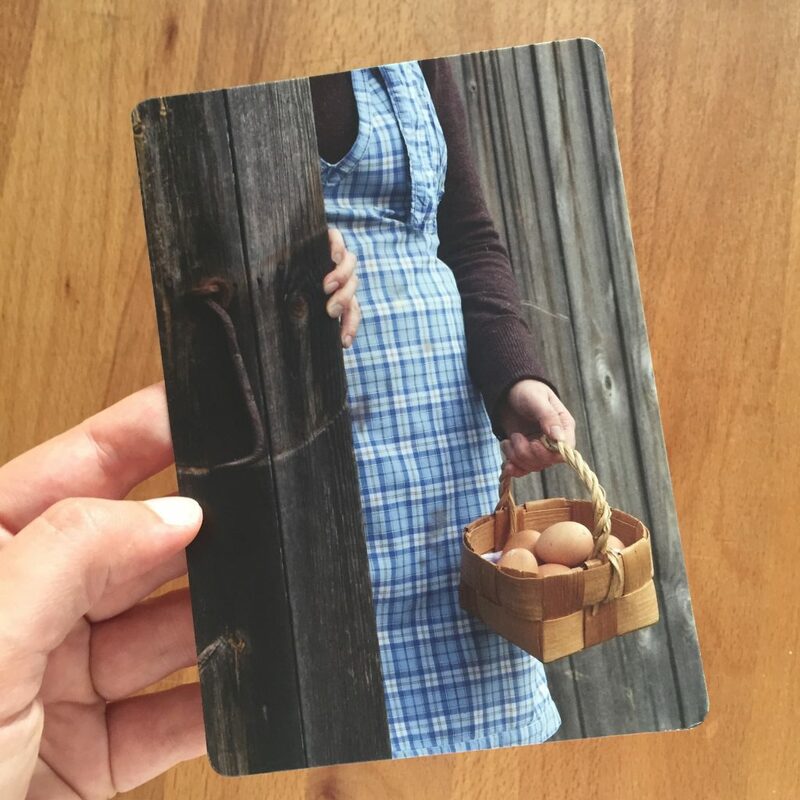 yes, i know what you’re thinking: a machine that only cooks eggs?! when i first started seeing these at big appliance stores, i looked at them with a sceptical raised eyebrow. 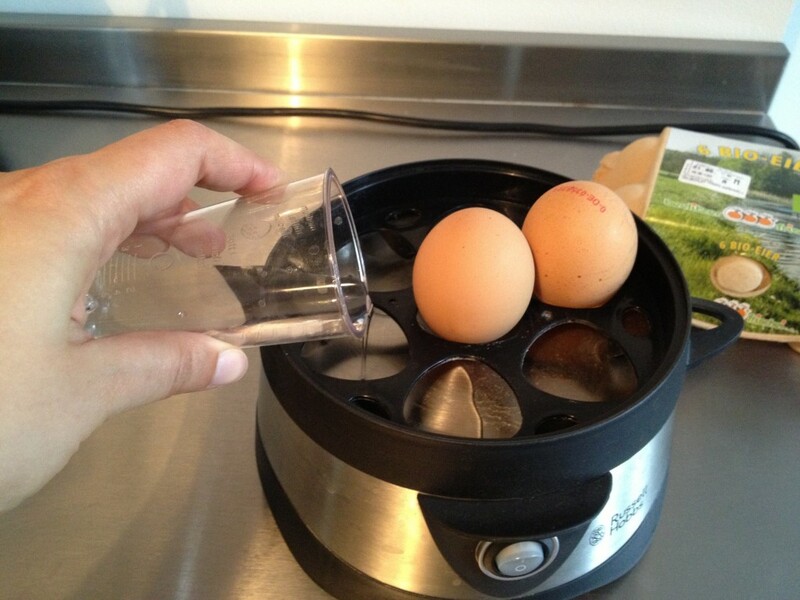 why would anyone need a machine to boil eggs? and yet, and yet… the perfect egg was always elusive for me, always tricky to get. too cooked, not cooked enough… the results tantalisingly close but always just slightly off the mark. 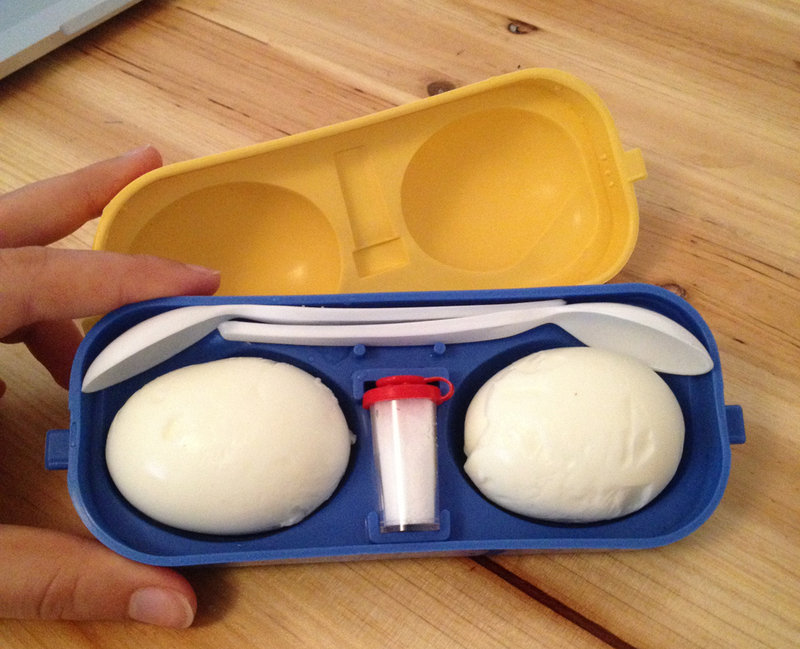 and so after a while, the idea of this magical machine and its promise of perfect boiled eggs starting chasing me in my dreams… until we finally caved in and bought it. 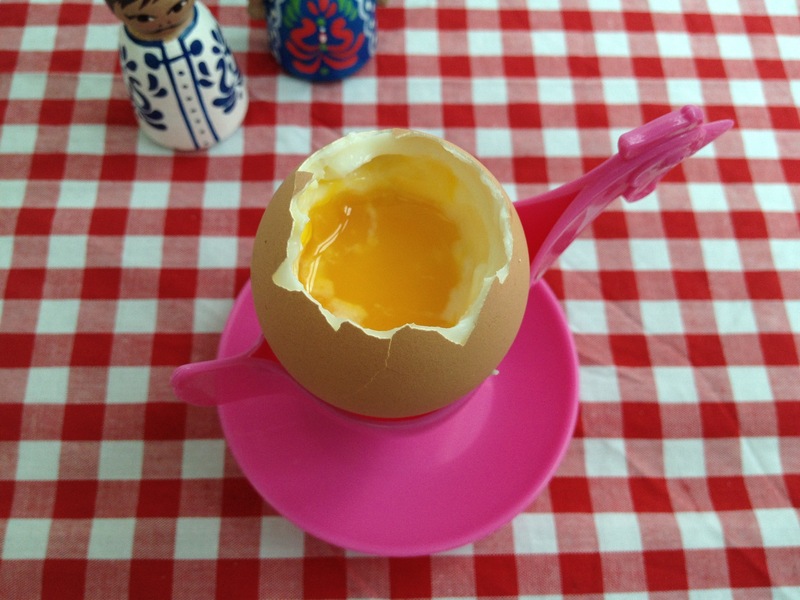 it’s ridiculously easy: put eggs, put water according to desired consistency, cover and wait. when the water is all boiled, it beeps and voilá. 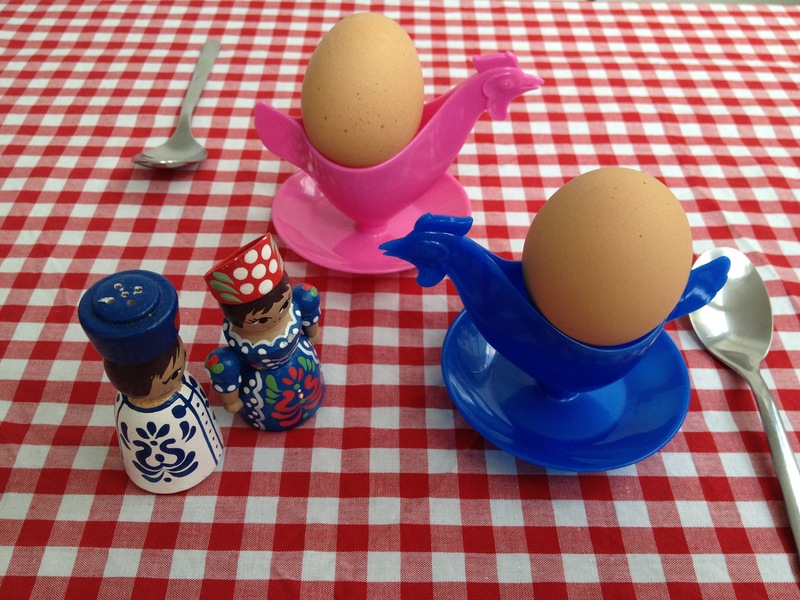 ps – the plastic egg holders in the shape of chickens are another classic from the ddr. 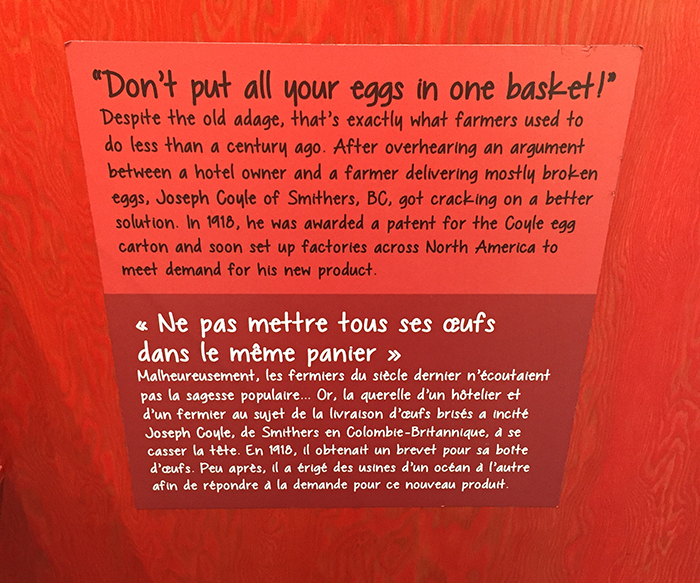 those guys sure loved their eggs! can you guess what this is before scrolling down? 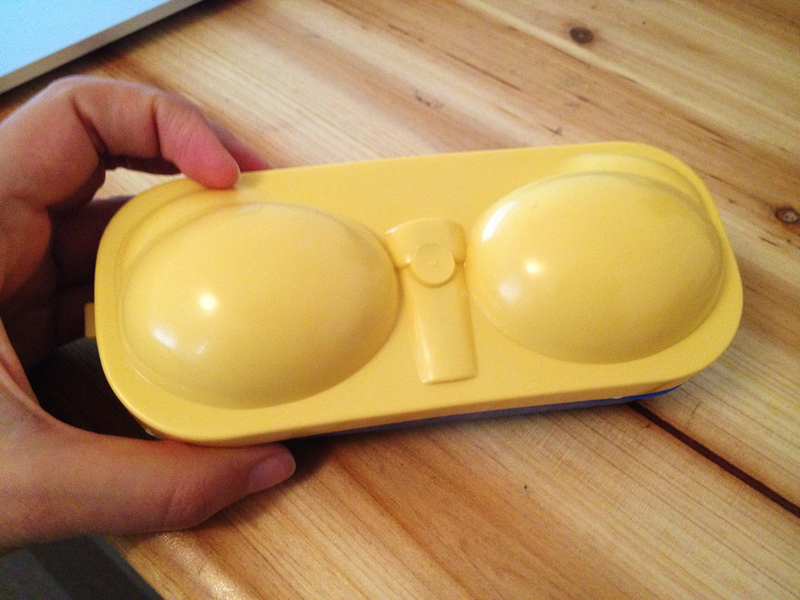 no, it’s not for your sunglasses… it’s an awesome egg-carrier from the DDR! :D silly, but useful!